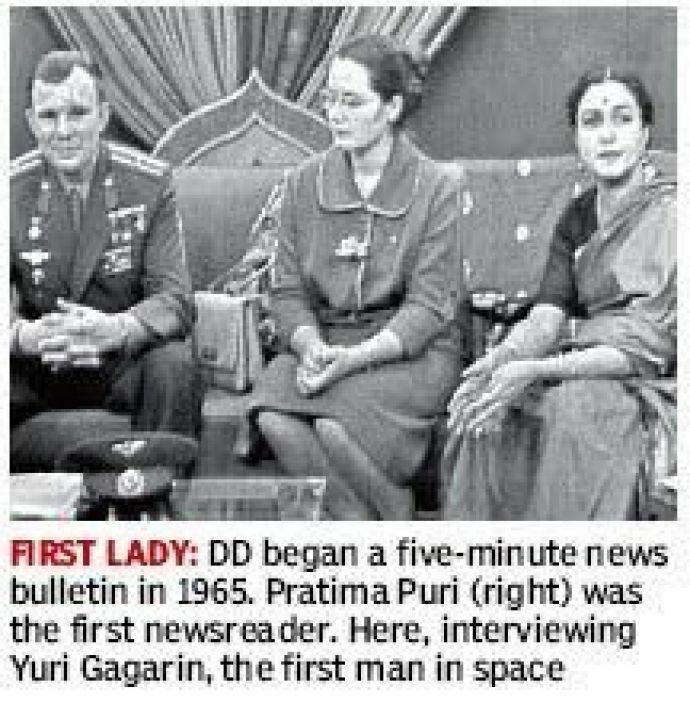 She also interviewed the first man in space Yuri Gagar. 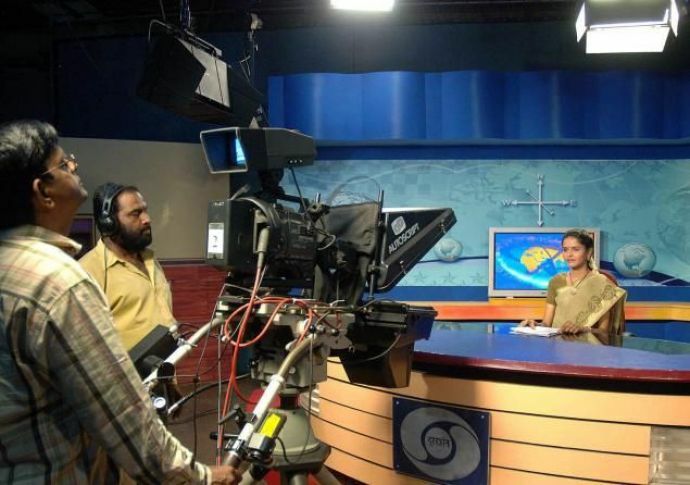 It’s our national broadcaster Doordarshan, today. 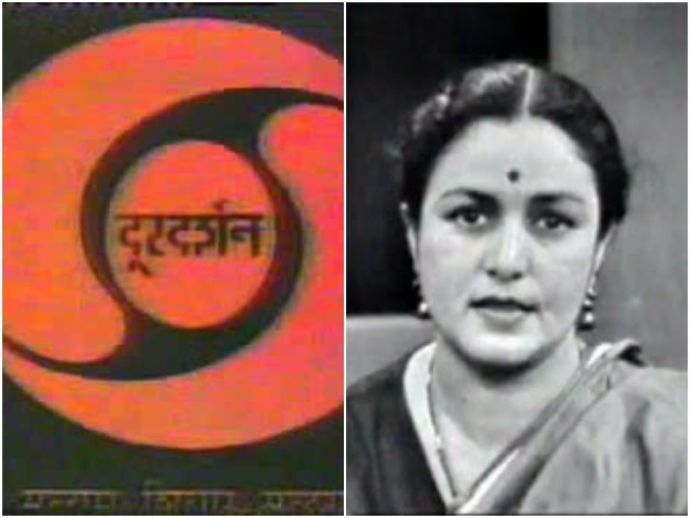 Doordarshan was not just a TV channel but it was also an integral part of every Indian’s life The iconic logo, the epic theme tune, we remember it all! Started on September 15, 1959, with a small transmitter and a makeshift studio, Doordarshan was a division of the Prasar Bharati. Doordarshan started its regular daily transmission in 1965 as a part of All India Radio. 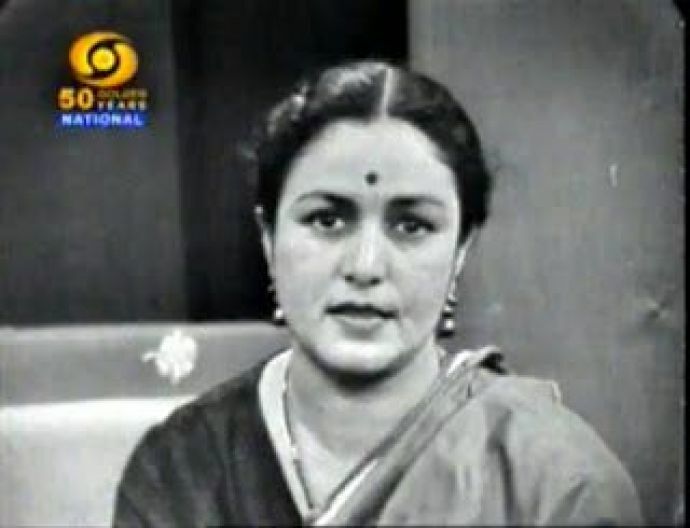 The first ever news bulletin was five minutes long with Pratima Puri being the first news reader. This was the time when India was developing rapidly and it was the era of revolution and inventions. India was taking steps towards a new glorious future but the women were still tied to stereotypical ideologies. Meanwhile somewhere this gorgeous lady was spreading her wings to fly and make history. Pratima Puri who born as Vidya Rawat belongs to a Gorkha family settled at Laal Paani in Simla the capital city of Himachal Pradesh. Pratima started her media career at the All India Radio (AIR) station in Shimla. When All India Radio had its first telecast on September 15, 1959, Pratima was shifted to the capital of India New Delhi. Her beautiful looks and melodious voice was selected as an announcer may be a newsreader, but above all, she definitely became the first face of the small screen in India. She worked for a very long time in Doordarshan. Later, she started giving training to many aspiring anchors in Doordarshan. Some of her feats include interviewing Yuri Gagar, the first man in space, and various actors and politicians. Pratima was herself an inspiration for all the women in India at the time when celebrities like actors and dancers were not considered respectable.